BANFF, ALBERTA, Canada – Imagine soaring through the fresh powder trails, pristine alpine forests and tranquil valleys of Banff National Park, one of the most spectacular reserves in the Canadian Rockies, as you breath in crisp mountain air and listen to the relaxing sound of huskies pulling your sled along. 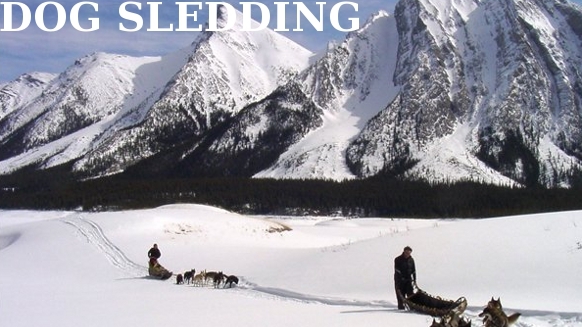 Snowy Owl Sled Dog Tours makes this dream a reality. Our all inclusive sled dog tours bring you to some of the most beautiful remote areas of the park, offering breathtaking views at every turn. You’ll bond with our charismatic, not to mention highly photogenic, huskies and learn the history of this traditional Canadian past time. Our certified instructors show the way and, at the end of your journey, prepare a native Canadian lunch, complete with hot beverages and our famous ‘mystery cookies.’ You’ll relax by the campfire as you enjoy real Canadian cuisine and share stories of your adventure. Our Canadian Rockies adventure takes you to picturesque spots like Goat Pond and Spray Lakes. Make sure you bring along your camera; Snowy Owl Sled Dog Tours offers countless Kodak moments for the whole family. As an industry leader, we provide you with the best extended programs and expeditions as well as half day dog sledding programs in Banff, Alberta. Why not combine your tour with an awesome Banff snowshoeing adventure! All tours kick off with a 30-minute introduction to dog sledding and a short safety briefing. Want to see what the weather is like in Banff, Jasper and Canmore? Check out our 360 degree webcams at Rockies.com!